I have to run a Powershell script that creates a Site Collection App catalog , then add an SPFx webpart to it and publish it. Also it has to install it in the site. I have done upto this part. But it has a step to manually add SPFx app to a classic page and to get the XML. This is not possible in my case as I have to automate everything. Is there way to achieve my need or to tweak the method provided in the post. You can follow the below mentioned steps and after that you will be able to add your webpart to a classic page. 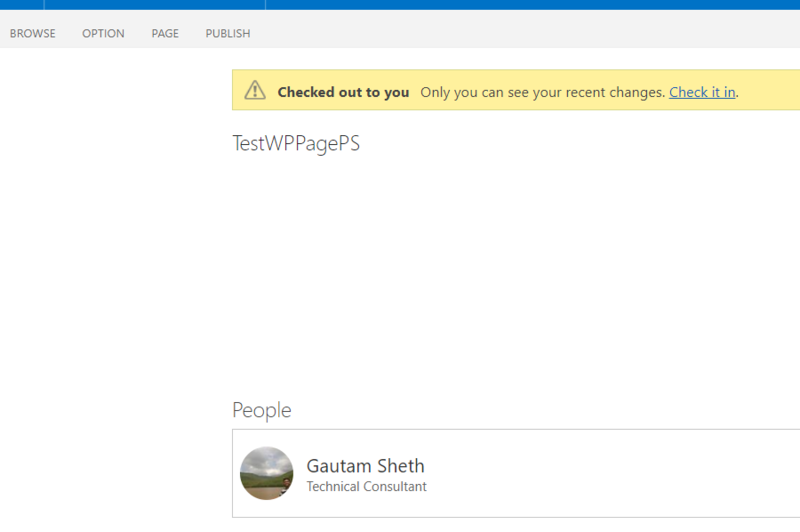 2) Add your SPFx webpart on the page and configure it as per your requirements. 5) Copy the entire data, i.e whole section including the <webParts>...</webparts> tag. 6) In your local file system, create a yourWebpart.dwp or yourWebpart.xml file and paste that data inside this file and save your file. Not the answer you're looking for? Browse other questions tagged sharepoint-online office-365 spfx spfx-webparts sharepoint-framework or ask your own question.